America's most notorious spy agency even deceives its own employees. It's no secret that the CIA isn't always up front with the public about its operations. You may even be kept in the dark if you're an elected official. But did you know the agency even lies to its own employees? That's the subject of a recent Washington Post report on a heretofore unknown practice at the CIA called "eyewashing." 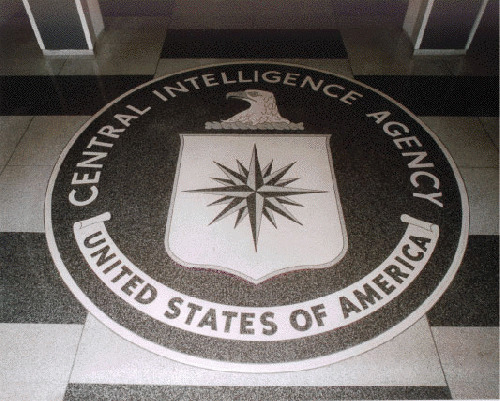 Before moving to the substance of the article, however, I owe my readers an explanation: The Central Intelligence Agency must approve of everything I write about intelligence, the CIA, foreign policy, diplomacy, the military, and national security -- for the rest of my life. They didn't like this column, even though the source material is freely available to anybody who reads the Post. The CIA consented to let me run it, but only if I redacted a few important sections. I've decided to show you the CIA's cuts, rather than engage in a protracted negotiation. Now, back to eyewashing. Eyewashing, simply put, is a way that the CIA deceives its own employees. According to the Post, CIA veterans described eyewashing as an "important security measure" and a "means of protecting vital secrets by inserting fake communications into routine cable traffic." But these lies eventually are passed to Congress, too. And when documents are finally declassified, the lies make their way to historians and to the American people. Here's how eyewashing works. Let's say a CIA officer is working on a sensitive operation in the field. He's reporting his progress to headquarters, and the operation becomes even more sensitive. XXXXXXXXXXXXXXXXXXXXXXXXXXXXXXXXXXXXXXXXXXXXXXXXXXXXXXXXXXXXXXXXXXXXXXXXXXXXXXXXXXXXXXXXXXXXXXXXXXXXXXXXXXXXXXXXXXXXXXXXXXXXXXXXXXXXXXXXXXXXXXXXXXXXXXXXXXXXXXXXXXXXXXXXXXXXXXXXXXXXXXXXXXXXXXXXXXXXXXXXXXXXXXXXXXXXXXXXXXXXXXXXXXXXXXXXXXXXXXXXXXXXXXXXXXXXXXXXXXXXXXXXXXXXXXXXXXXXXXXXXXXXXXXXX XXXXXXXXXXXXXXXXXXXXXXXXXXXXXXXXXX. Investigators from the Senate Intelligence Committee found at least two instances where the CIA turned over eyewashed cables for the committee's report on torture. Both related to Abu Zubaydah, an alleged al-Qaeda operative the CIA believed -- incorrectly -- XXXXXXXXXXX XXXXXXXXXXXXXXXXXXXXXXXXXXXXXXXXXXXXXXXXXXXXXXXXXXXXXXXXXXXXXXXXXXXXXXXXXXXXXXXXXXXXXXXXXXXXXXXXXXXXXXXXXXXXX. This practice is ripe for abuse. What happens when an officer decides to issue a deceptive "eyewash" cable to his coworkers because the source -- or the officer -- is doing something illegal or unethical? With the eyewash cable in place, congressional oversight committees would have no idea. Interestingly, the Post article said that most former senior CIA officers interviewed, including attorneys, had never heard of the practice. That means it wasn't passed through the chain of command. No legal opinions were issued. The inspector general didn't know it was happening. While those who did know about the practice claimed it didn't get out of hand, you'll just have to take their word for it. Plainly, there's no adult supervision in the CIA. Imagine what can happen if we accept that our public servants can simply lie.